Type like a pro by using a mouse or touch screen! Hot Virtual Keyboard makes previous-generation on-screen keyboards look ancient. Type faster with configurable mouse gestures, launch programs, browse the Internet, and run programmable macros with any of the 60 keyboards included with Hot Virtual Keyboard. The new on-screen keyboard employs advanced typing techniques used in modern mobile phones and communicators such as word auto-complete. ...... word with a single click after entering just one or two letters. Qweas is providing links to Hot Virtual Keyboard 7 as a courtesy, and makes no representations regarding Hot Virtual Keyboard or any other applications or any information related thereto. Any questions, complaints or claims regarding this application Hot Virtual Keyboard 7 must be directed to the appropriate software vendor. 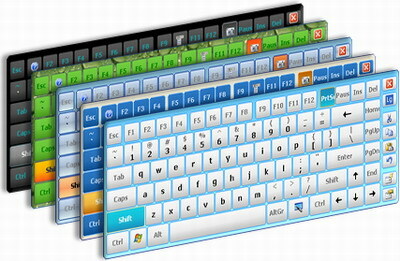 You may click the publisher link of Hot Virtual Keyboard on the top of this page to get more details about the vendor.